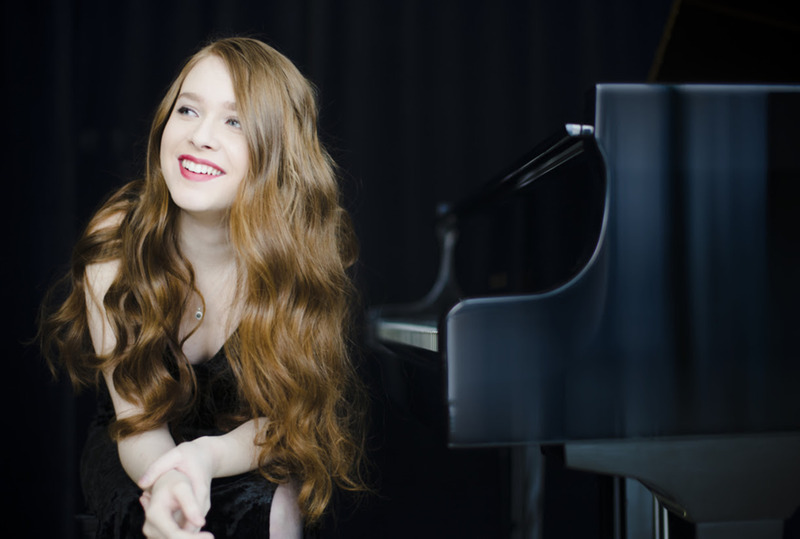 Canadian classical pianist Anastasia Rizikov will perform at The Berman Center for the Performing Arts (6600 W. Maple Rd. in West Bloomfield) at 3 p.m. Sunday, April 29. Rizikov made her orchestral debut at the tender age of seven and has since appeared as soloist with major orchestras in North America and Europe. The launch of Anastasia Rizkov's career was when she placed first at the Vladimir Horowitz International Piano Competition in Kiev, Ukraine. From there she was invited to perform with the National Philharmonic Symphony Orchestra of Ukraine conducted by Mykola Diadiura. 13th Giuliano Pecar International Piano Competition (Gorizia, Italy, 2013). “Ms. Rizikov is an extraordinary virtuoso, with abundant technical prowess,” said Renée Silberman at The Beat Magazine. “But she is more than the sum of ten fingers – she is a consummate artist, born to play, to love the art and act of music-making...” he continued. Now 19 years old, she is being lauded as the “one to watch.” With more than 30 orchestral performances and 20 concerti in her repertoire, Anastasia Rizikov has already played with such major orchestras as Toronto Symphony Orchestra, Symphony Nova Scotia, and the City of Granada Orchestra. She has worked with conductors such as Peter Oundjian, Alain Trudel, Bernhard Gueller and more. Anastasia Rizikov’s concert schedules have taken her around the globe. She has played in such prestigious spaces such as Carnegie Hall, Roy Thomson Hall, Fazioli Hall, Hong Kong City Hall and the Kremlin. With a curiosity for diverse and exciting projects, she recorded a CD with NAXOS and performed at the prestigious Verbier and Orford Festivals (2015). In 2014, she tackled Rachmaninoff’s immense Piano Concerto No. 3 with Laval Symphony Orchestra under the baton of Alain Trudel; while in the fall of 2013, and gave 20 performances over two weeks throughout all the Atlantic provinces of Canada as the winner of the prestigious Debut Atlantic Award. Adept in English, Russian, and Ukrainian languages (and working towards mastering her French), Rizikov began studies at École Normale de Musique de Paris with Professor Rena Shereshevskaya. From 2003-2017 she studied with Professor Maia Spis at the Nadia Music Academy, Toronto. She has played in master classes for Sergei Babayan, Arie Vardi, and Robert Levin, and has worked with András Schiff, Emanuel Ax, Menahem Pressler, and Olga Kern. Being a person who loves and understands her audience, she dreams of being able to share her unique musical voice with the entire world, including audiences in Detroit. To purchase tickets, please visit theberman.org or call 248.661.1900 from 10 a.m. to 4 p.m. Monday through Friday. This post is a part of this blog's semi-regular Friday Focus series, which endeavors to highlight news and opinions that, in my opinion, don't get as much attention as they deserve. Please follow this blog on Facebook for more great content. I'm also on Twitter and Instagram as @fnemecek.